Technically it is very common to hear about the news referring Conversion RateOptimization as the new SEO. CRO i.e. Conversion Rate Optimization is the newest technique of creating an understanding for a website visitor with the objective of increasing the percentage of visitors that convert into customers. CRO is introduced for helping the internet marketers in getting the best lead generation. How conversion rate optimization (CRO) actually works? CRO is a technical process of increasing website leads or sales without spending money on more visitors or can say by simply reducing your visitor bounce rate. In short, CRO is something that has emerged beyond the need of SEO and SERP. Also SEO and CRO are a lot alike but still CRO is a newest and novel method which many IT companies are still unaware of. Why should you choose Conversion Rate Optimization? Without spending your hard earned money, you can help your website with more numbers of customers using Conversion Rate Optimization. Getting customers for free is again a big advantage for your online or local business. It helps in reducing your advertisement costs. Secondly, there is a finance sense with conversion rate optimization technique comparing to the other techniques of internet marketing. 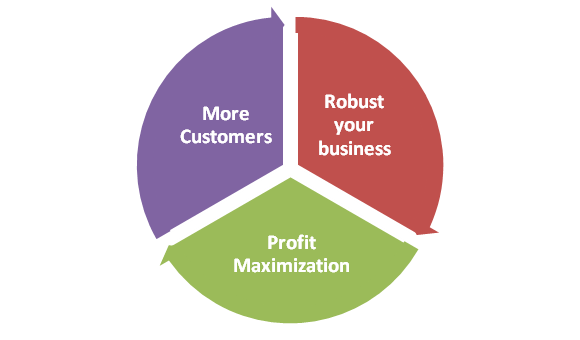 With more numbers of customers, it is really obvious to get more profit maximization. CRO robust your business as it gives you more income and hence more opportunities to showcase your business in other advertisements. In short, it creates a virtuous circle and benefits for your website business by making it luckier day by day! Conversion Rate Optimization, is an Internet Marketing process that increases the sales and leads you get from a website. Reach to us with your queries or Write to us at info@letsnurture.com.